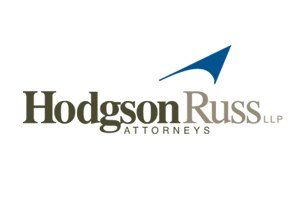 Hodgson Russ is frequently recognized for excellence in the practice of law and outstanding commitment to the community. The firm, our practices, and our attorneys are honored by clients, other lawyers from around the country, national legal publications, and ranking organizations. A small selection of these honors includes 27 Metropolitan Tier 1 practice rankings from Best Lawyers‘ “Best Law Firms” and a National Tier 2 ranking, inclusion in Chambers USA: America’s Leading Lawyers for Business, and 66 attorneys listed in Thomson Reuters’s Super Lawyers, with a partner ranked among the top fifty Upstate New York Super Lawyers.